We introduced touch scrolling of playlists on our Windows player platform a while back which proved very useful for creating quick interactive kiosk applications. We now have the same functionality available on the Android platform. 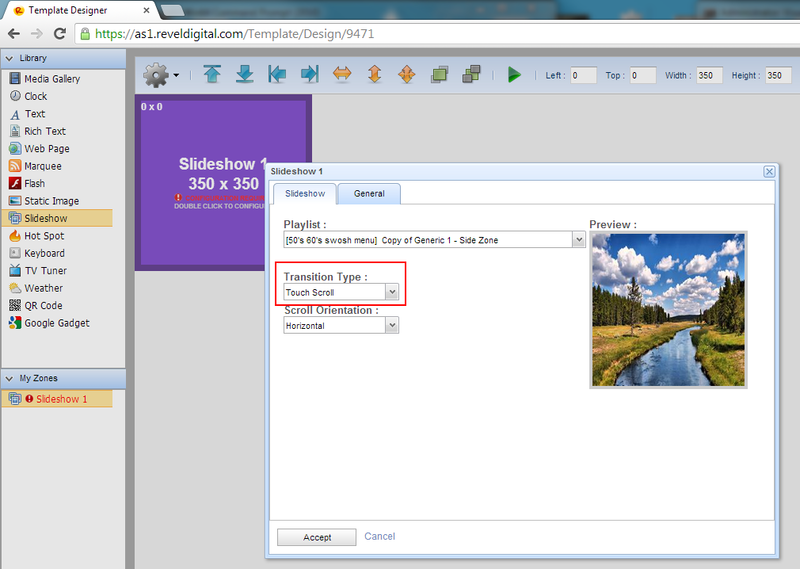 Any playlist zone in your template can be made interactive just by selecting the proper transition type. 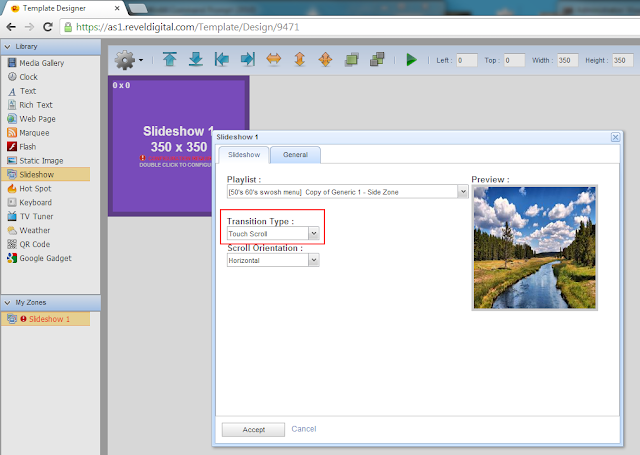 This will allow the slideshow to be navigated by touch swiping. Simple kiosks can be created in no time just by adding one of these to any template. Check out this demo using the touch scroll playlist. Is possible download the theme of demo kiosk with touch scrolling? with your RevelDigital account/business name and we'll get you setup.